Colette is a member of Reed Smith’s Energy and Natural Resources Group resident in the Washington, D.C. office. Colette is a highly regarded policy maker in domestic and international energy sectors. Colette recently served as Commissioner at the Federal Energy Regulatory Commission (FERC). She was nominated by President Barack Obama in August 2014, and unanimously confirmed by the U.S. Senate in December 2014 for a term that expired in June 2017. At FERC, Honorable focused on reliability oversight of the bulk power system, cyber and physical security, oversight of wholesale markets, transmission planning and cost allocation in regional transmission organizations, gas-electric coordination, renewables integration, energy storage integration and valuation, enforcement, ratemaking, infrastructure development, and enforcement matters. Colette joined the FERC from the Arkansas Public Service Commission (PSC), where she served since October 2007 and led as Chairman from January 2011-January 2015. As Chairman of the PSC, Colette was charged with ensuring safe, reliable and affordable retail electric service. During her tenure, Arkansas led the South and Southeast in comprehensive energy efficiency programs, and electric rates were consistently among the lowest in the nation. Both state and federal regulatory appointments culminated in nearly ten years of regulatory experience in key leadership roles. Colette is past president of the National Association of Regulatory Utility Commissioners, where she focused on pipeline safety, reliability, resilience, fuel diversity, and workforce development. She has testified before Congress on multiple occasions on a range of energy issues. Colette is a Nonresident Senior Fellow with the Brookings Institution for their Energy and Climate Initiative; a Senior Fellow with the Bipartisan Policy Center, a member of the Global Advisory Board for the Energy Futures Initiative; an Ambassador for the Clean Energy Education and Empowerment Initiative, an effort co-led by the U.S. Department of Energy and the MIT Energy Initiative formed under the auspices of the International Clean Energy Ministerial. She has also held previous appointments to the National Petroleum Council and served as Chair of the Department of Transportation’s Joint Technical Advisory Committee for the Pipeline and Hazardous Materials Safety Administration. A native of Arkansas, she is a graduate of the University of Memphis and received a Juris Doctor from the University of Arkansas at Little Rock School of Law. I have held a number of positions in my career. Upon reflection, each one has helped me be successful in my professional path to date. I am grateful to have attended a law school, University of Arkansas at Little Rock, which taught me the importance and value of public interest law. UALR School of Law also taught me practical aspects about the practice of law (e.g., where to find the courthouse!). Other roles I’ve held, such as my first job as an attorney at Legal Services, taught me how to treat people, that every person should be valued no matter their station in life, and that every person was entitled to representation. Working in the South also instilled in me the importance of being civil in my professional work, to treat others with respect, to be courteous and to be agreeable even if I didn’t agree with one’s perspective. I am also appreciative of many men and women, of all ethnicities and backgrounds, who mentored me or championed my cause. I am the beneficiary of many who encouraged and taught me, was patient with me and saw potential in me worth nurturing. In the last ten years in the energy sector, we have seen many changes in the energy sector- for the better. Having spoken to many boards of directors over the years, I’ve observed the growth of women CEOs in the energy sector, such as Pat Vincent-Collawn, Mary Kipp, Patricia Poppe and Paula Gold-Williams. I have also observed greater numbers of women in the C-Suite and in general counsel positions. This is important because global studies have demonstrated that having more women in leadership positions in companies (in the C-Suite and on boards) increases the profitability of companies. However, these women are not in their respective positions because they are women. Make no mistake- they are there because they are the very best to lead at this time. I am incredibly excited about the ability of this industry to harness the potential of technological innovation and to leverage it to yield incredible results in energy efficiency, energy production and generation and energy usage. I’m especially proud to have served at FERC at a time when we were so focused on removing barriers that existed in wholesale markets to make room for storage and all of the attributes it possesses. I’m really proud of the current iteration of the Commission that has carried the ball even further, so to speak, to ensure that regional processes begin the heavy lifting to effectuate the changes necessary to bring this work about. At Reed Smith, we have a very strong, vibrant culture of diversity. That is one of the things that attracted me to the firm. The firm celebrates not only diversity but also, more importantly, inclusion. There is a vast difference between the two. Reed Smith has robust Diversity & Inclusion initiatives as well as affinity programs (or employee resource groups) that are very vibrant. I feel right at home here, am a member of our African-American affinity group (STAARS) and have recently agreed to serve as Co-Chair of the Women’s Initiative Network (WINRS) at the firm. Women serve in the highest levels of this organization and are incredibly powerful examples for my colleagues and me. We also pride ourselves on encouraging those around us to be our authentic selves and given a “runway” to walk in who we are in a way, that fosters collaboration and successful outcomes. 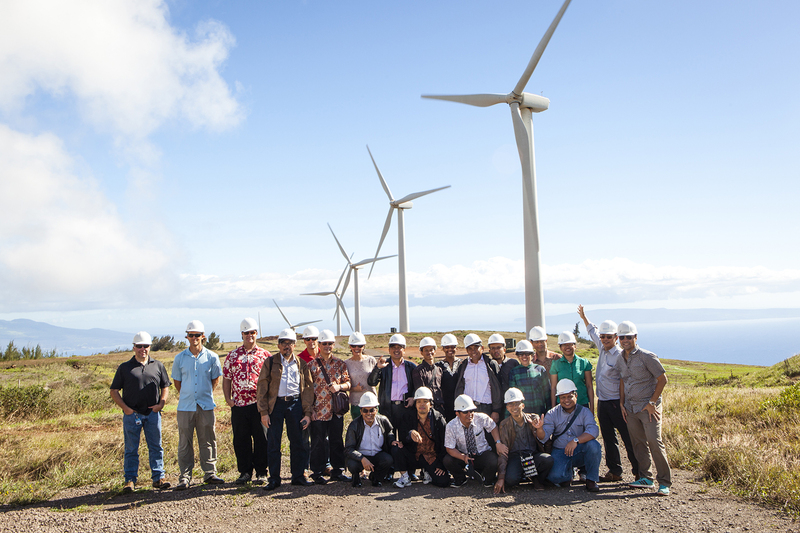 We are especially proud to have a diverse client base, including cutting-edge technological entities, renewable and storage clients, and everyone in between. The culture of inclusion permeates throughout our work and radiates in how we support our clients and drive progress through partnership. I’ve mentioned our industry-leading Diversity & Inclusion effort. D&I serves as an umbrella for all of the affinity efforts, such as STAARS, WINRS, and affinity groups for persons with disabilities, colleagues of Hispanic/Latino heritage, members of the LGBT/PRISM community and veterans enjoy robust communities within our global community. In fact, Reed Smith hosts a Diversity Summit annually. I attended the summit last year in Philadelphia, and it was at that conference that I realized that Reed Smith would be my next work home. We challenged one another, learned and grew together in ways that I had not seen previously. The data, the spirit of excellence with which the conference was put forward, and the quality of the speakers were the best. The compelling fact was the integration of clients in the conference who also make D&I a must. I was in the rarified air indeed. 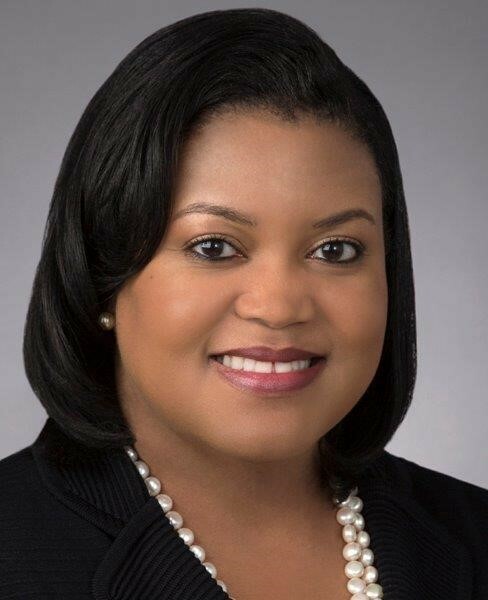 It didn’t hurt that the firm’s first Executive Director of Diversity Recruitment was my cousin, Marlen Whitley, a partner in the Houston office! In addition, Reed Smith tracks and reports its D&I progress each year. This is very important, as we are holding ourselves accountable even as many of our clients do. Our firm has been recognized globally for our D&I excellence, and the statistics demonstrate our commitment to the same. In 2017, our collective focus on D&I resulted in the highest level of diverse attorneys in our firm’s history. To date, we are 19.20% diverse (attorneys) and 36.33% of our attorneys are women. The Energy and Natural Resources Practice of Reed Smith is the most diverse of any practice in the firm. Finally, our firm has embraced the Mansfield Rule and has a strong Vendor Diversity Program to ensure that diversity permeates every aspect of our firm. In addition, we are stronger because of these commitments. The energy and electricity sectors need to be focused on taking our collective game to the next level. Instead of holding on to the way things have been historically, we should push ourselves to embrace change, to be challenged in our thoughts and actions, and seize momentum in every aspect of our daily work. This includes supporting and making room for energy storage (of all types!) and other technological advances in ways that ultimately benefit consumers, affirmatively committing to ensure that diverse communities are part of our community and our success, and to treat women the ways in which we want our mothers, wives, sisters and daughters to be treated. I bring my best to this job each day, and my pay and stature should reflect that. It shouldn’t matter that I am a woman. In addition, none of us should be satisfied or complacent if parity and equity are not achieved in our places of work. Even while we are proud of our successes, we have much work to do to ensure that everyone is successful and everyone has an opportunity to succeed.